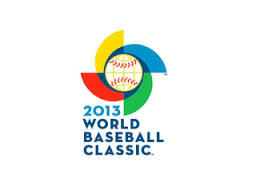 I have to admit: I’m much more interested in the World Baseball Classic this year than in the first two iterations. I don’t know why; perhaps its because I’ve become much more interested in prospects over the past few years, and the WBC rosters for the lesser teams are filled with minor league prospects. I’m definitely watching the games though and have been really enjoying the competitions. Here’s a quick review of the first rounds in all the pools (note that in the Far East the 2nd round is well underway; we’ll talk about that in a subsequent post). These Pools are listed in their order of finish. Here’s a Fangraphs.com summary of the two Far East pool first rounds. And here’s the overall bracket for the tournament. Pool A: Cuba, Japan, China, Brazil. No real surprises here: the Brazilian team was expected to finish dead last while international powerhouse Cuba and two-time defending champion Japan advanced relatively easily. Cuba continues its stellar international record with a head-to-head win against Japan to win the group (and as discussed here previously, could be a juggernaut if the defected Cubans could participate as well). The bigger surprise here was China beating out Brazil for the automatic spot in the 2017 classic. A rather big upset here: South Korea finished 3rd and 2nd in the first two WBC tournaments, but fell behind the Netherlands on Run Differential after all three teams finished pool play 2-1. Some have complained about the seedings; clearly by the results of the first two WBC events putting South Korea, Cuba and Japan in the same bracket seems unfair. The Netherlands is filled with players from baseball-playing Dutch colonies such as the Netherlands Antilles, Curacao and Aruba, though it also has a number of players from the Dutch professional league Honkbal Hoofdklasse; either way it was not expected to advance against a traditionally strong Korean team playing so close to home. Former Nat Chien-Ming Wang pitched well for Taiwan, bolstering his attempts to make a comeback after several disappointing seasons with Washington. Our own Roger Bernadina started and played well for the Netherlands as they played their way into the 2nd round. There was no surprise who came in dead last (Spain), but I for one was shocked that a stacked Venezuelan lineup couldn’t come out on top of the Puerto Rican team. Meanwhile the starting lineup for the D.R. looked closer to a MLB all-star lineup, and their dominance showed. They’ve under-achieved in every tournament thus far and I look for the D.R. to go far in this tournament. It was nice to see former Nats farm hand and prospect-watching favorite Christopher Manno pitching for Spain, even if he didn’t fare that well. For a while on Sunday, it looked like the USA was closer to finishing dead last (and having to qualify for the next tournament) than winning it, but that’s the surprises involved in pool play. After getting completely out-played by Mexico in the opener, the USA squeaked by Italy on the strength of 4 scoreless, nearly flawless innings from Ross Detwiler before turning it on late to beat Canada. Meanwhile, the “Italian” team (I put that in quotes since i’d challenge someone to find more than a handful of the Italian team that actually speaks the language) surprises everyone by finishing second. Meanwhile, Mexico finishes dead last behind a surprisingly good Canadian team (whose 3-4-5 hitters batted something like .450 for the tournament) and faces qualification for the next tournament. An interesting pool all around, which could have looked very differently with just a few runs here or there. 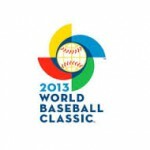 Pool 1’s favorites have to be Japan and Cuba, while Pool 2’s favorites have to be USA and the Dominican Republic. But, the Netherlands and Italy have played far above their supposed skill level thus far and we could be in for more shocks. In response to a topic that came up in the comments section, I’ll do a 3-part series reviewing the biggest/best/worst moves by the franchise since arriving here in Washington. 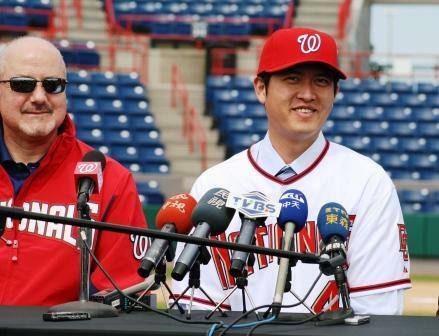 We’ll differentiate between Jim Bowden and Mike Rizzo moves as we go through. We’ll talk about trades, then draft picks, then FA signings. The Nats have made dozens of trades since 2005, and by my records have traded with every team in the league save for three: Baltimore, Cleveland and the Los Angeles Angels. In fact, the franchise has not done business with Baltimore in any capacity since the year 2000, a testament perhaps to the difficulties of dealing with Peter Angelos even before the team moved to Washington. Now post-relocation, the conventional wisdom is that the two teams would never do business on the off-chance that one team ended up “winning” a trade with the other. I’ll divide this post into into 3 sections: the “biggest” deal (not the most players, but the biggest impact/most news worthy), the “best” deal(s) and the “worst” deals. For Rizzo, we’ll add a 4th category for “Too Early to Tell,” since the big off-season trade of last season probably won’t shake it self out for a few more years. The Alfonso Soriano move made all sorts of news; he wouldn’t move to LF, threatened not to play at all, then ended up putting in a 40/40 season in a pitcher’s ballpark and then resulted a host of national news as the team debated whether to trade him, re-sign him or let him go. 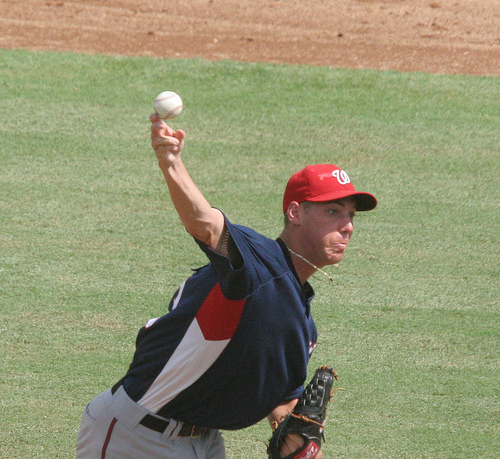 Bowden held firm on his demands in the trade market, never traded him and landed two compensatory draft picks (which the Nats turned into Jordan Zimmermann and Josh Smoker). The Kearns/Lopez deal, in the end, was more about moving deck chairs than making progress for either team. Bowden was obsessed with players that he knew from his Cincinnati days, and showed a proclivity to trade for or acquire them throughout his tenure here, and this deal was just the biggest example. The only player in the deal who still remains with his original team is Bill Bray, and most of the players in the deal have become large disappointments for their careers or are out of baseball. The Reds accused Bowden publically of selling them damaged goods (Gary Majewski got injured about 5 minutes after the trade was completed) and Kearns/Lopez never really lived up to anything close to their potential. We’ll talk about the other two deals below. Bowden gets major credit for obtaining two core members of the current Nationals squad for almost nothing. He obtained Tyler Clippard from the Yankees for Jonathan Albaladejo in a like-for-like trade of under-performing minor league relievers. Of course we all know what’s happeend since; Clippard has become a super-star setup man, the 2011 league leader in holds. Getting Michael Morse in return for sending the feeble Ryan Langerhans to Seattle in what most thought was a mercy trade at the time (i.e., trying to send good-guy Langerhans to a team that would actually play him) seems like one of the steals of the decade. Nobody thought Morse had a fraction of the potential he’s now shown to have. I include getting Josh Willingham and Scott Olsen as a win based on who we gave up: PJ Dean, Emilio Bonifacio and Jake Smolinski. I’ve always had a soft spot for Willingham and thought his offense potential was the key to this deal; we got two major leaguers for two dead-end minor leaguers plus a backup infielder. Luckily for the Nats, Florida was always ready to give up arbitration candidates to save a buck. Honestly, I had a hard time really saying that I thought one of Bowden’s trades was egregiously bad. Most of his deals (outside the deals mentioned above as biggest or best) were minor leaguer swaps or dumping veterans at the trade deadline. Even the acquisition of Elijah Dukes wasn’t really that “bad” based on who we gave up (Glenn Gibson, who was released a couple years later by Tampa Bay and ended up back with us anyway). However, the acquisition of Lastings Milledge for Ryan Church and Brian Schneider might be the one trade that I’d most quibble with. Bowden showed his obsession with “toolsy” and “potential” players in this deal, acquiring the malcontent Milledge and giving the Mets two immediate starters. At the time I certainly defended the deal; neither Church or Schneider were slated to be starters for the 2008 Nats so you could argue that we got a plus prospect for two backups. I know I certainly argued that point. Church seemed to be a brooding platoon outfielder who wouldn’t be happy unless he was starting and Schneider had lost his starting spot to Jesus Flores and was a relatively weak hitter. As it has worked out Church was a very productive player for New York, Flores got hurt and left the team in a very serious catcher-dearth position, and Milledge turned out to be not nearly the talent that we thought we were getting. By the time we flipped him to Pittsburgh in 2009 he was barely hitting his weight in AAA and was completely out of the picture for this team. You have to hand it to Mike Rizzo; he’s not been afraid to make deals. In his 3 year tenure he’s made 5 significant deals that have vastly changed the way this team is constructed. Two of those deals (Morgan/Burnett and the Willingham deals) were mostly about cleaning up the roster to get it more in his image of pro-clubhouse guys and pro-defense. Trading away Milledge and Willingham succeeded in moving the team towards these goals. The Gorzelanny and Gonzalez trades were about acquiring power arms to shore up the rotation, another tenant of Rizzo-constructed teams. Clearly Rizzo’s best move was stealing Wilson Ramos for a closer (Matt Capps) that we had ample candidates for internally. The Twins panicked post-Joe Nathan injury and overloaded their bullpen with closer candidates. Meanwhile Rizzo turned an astute FA signing (a minor league signing that turned into an All Star) into an even more astute trade by getting a nearly MLB-ready catcher in return for a guy who the team wouldn’t be re-signing anyway. Great move. Most readers here loved Christopher Manno and the promise he was showing in A-ball. 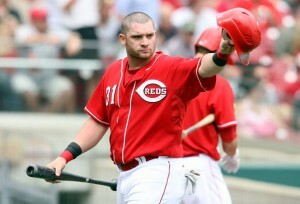 Most were also aghast to see Manno go the other way to Cincinnati for a 4th outfielder Jonny Gomes. At the time, the argument was that Davey Johnson wanted a bat off the bench and that the team needed some OF depth. What really happened was that Gomes hit his way out of his type-B arbitration status and played so poorly the 2nd half of 2011 that the team couldn’t dare offer him arbitration to get a compensatory draft pick. So we traded two decent prospects for a half season of awful production. Not a good move. Even worse, trading anything to acquire Brian Bruney. The team acquired Bruney, promptly argued against him and beat him in arbitration, and then (unsurprisingly) Bruney vastly underperformed until being flat out released a few months into the 2010 season. For me this is a lesson in what not to do with your arbitration eligible players. It wasn’t so much what we gave up (the first pick in the rule-5 draft *could* have been used to acquire someone of value), it was what we got in return. Pro-prospect pundits (anyone at Baseball Prospectus, Keith Law, etc) will already tell you that the Nats vastly overpaid for Gio Gonzalez. That’s because they value the potential of prospects more than the proven commodity of the major league player. But the fact is this; you KNOW what you’re getting in Gonzalez but you have no idea how a low-A prospect will play out. The Nats rolled the dice that AJ Cole isn’t going to turn into the next incarnation of Justin Verlander and that Brad Peacock‘s promise will peak as a middle reliever. The only way to tell how this trade turns out is to track the progress of those players we gave up versus what Gonzalez does for this team over the next 3-4 years. Thoughts? Any trades out there that stick in your minds that you thought should be mentioned? With the announcement that all 8 of our eligible free agents filed as soon as the FA filing period opened (as reported by Adam Kilgore), its time to talk about what the team could or should do with each of the 8 players. Here’s a quick table showing our 8 free agents, their latest contract and their pay for 2011. Rick Ankiel could be an interesting decision for this team. His 2011 line was bad (.239/.296/.363), and he really wasn’t any better down the stretch than he was at the beginning of the season. Ankiel tempts and entices you with periodic flashes of power but generally had really poor batting stats. On the plus side, he’s a lefty in a Right-handed heavy lineup. He also plays a fantastic Center Field (11.6 uzr/150 on the year in center) and has one of the best outfield arms in the game. All this screams 4th outfielder at best, and Ankiel may struggle to match his $1.5M salary in 2012. The Nats may view him as a decent 4th outfielder option, but may not be willing to guarantee him money. I’m guessing he goes elsewhere looking for a starting job or a guaranteed major league contract. Todd Coffey, by the end of the season, seemed to be a reliable right handed option out of the bullpen for this team. He had a 3.62 era on the season and a decent whip of 1.2. His splits on the year show a different story; he was lights out in May, god-awful in June and July before regaining his consistency in the end of the season. For me, he’s a replace-able asset that should be available in spades on the FA market or from within the farm system. I’m guessing the team rolls the dice on another one of the middle-relief right handers on the market. Had Cole Kimball not gone down with injury, the question would be completely moot for 2012. Alex Cora probably will find work on a minor league free agent deal somewhere for 2012; he has that “backup middle infielder” skill set that gives him a good shot of finding work in 2012 despite his horrible batting line in 2011 (a 51 ops+ hitting .224 in 156 ABs for the Nats). For the Nats, we saw that up and coming prospect Steve Lombardozzi can play both 2nd and SS in a backup role in September and I’m guessing we use a combination of him and Brian Bixler off the bench in 2012 as cheaper alternatives to the FAs Cora and Jerry Hairston that the team used in 2011. Jonny Gomes was acquired mid-season in a questionable trade that sent blocked 1B prospect Bill Rhinehart and blogger favorite Christopher Manno to the Reds. At first glance the trade seemed to be about acquiring the compensation pick that Gomes would fetch (who at the time had type-B FA status). After listening to management interviews though the trade seemed to be more about Johnson replacing the impotent Matt Stairs as his primary pinch hitter on the bench. It became clear that Gomes’ skills not only were not worth the 1.75M contract he was on, but that he was barely worth a 25-man roster spot. Gomes hit .204 for the team in the 2nd half, mostly as a right-handed power option off the bench and lost his type-B status by years end. Despite clearly being a good teammate and free-spirit in the clubhouse, Gomes seems destined for a non-guaranteed contract elsewhere for 2012. Livan Hernandez is hitting the FA market despite being our opening day starter and perhaps the most iconic player of this team’s tenure in Washington (with apologies to Ryan Zimmerman, of course). Hernandez just finished a very up-and-down season, culminating with his being “shut-down” in September (ostensibly to allow rookies to play, but it may have also been somewhat of a mercy-killing after a slew of abysmal performances). One need only look at his 2011 splits to see the problem with Livan: when he won he was very, very good (8-0, 1.26era in his 8 victories). But when he lost he gave the offensively-meager team almost no chance to win (a 6.05 ERA in 13 losses) and was nearly as bad in his 8 no-decisions (5.93 era). I’m sorry, but when you make 29 starts and have an era in the 6’s for 21 of them, you no longer merit a starting spot. The team will swallow its heart and allow Livan to leave in free agency. Just a couple months ago I was advocating to keep him, thinking he’d be a great backup plan and a good influence on the pitching corps. Those points both may be true, but his declining performance coupled with his extraordinarily long warm-up routine pretty much precludes effective use out of the bullpen (where guys need to be warm in 10-15 pitches). I’ll bet Livan finds a 5th starter job somewhere though; perhaps a sentimental return to Florida, a stop-gap one-year contract for the pitching-poor Mets, or elsewhere. Laynce Nix was hot in Spring Training, and equally as hot in April and May, but tailed off badly and ended the year with a relatively MLB-average 103 ops+ and a slash line of .250/.299/.451. He did have 16 homers in just 351 plate appearances, nearly a 30homer pace for a full season. Of course, he’d never get a full season of At bats since his lefty-righty splits are so bad (.263 versus .111 … he was 3 for 27 against lefties this year with 4 walks). What should the team do? Nix could be a nice part of a platoon in right field with a good right-handed hitter like Chris Marrero … except we’re pretty sure that we’d take a severe dip in defense if we did such a thing. Of course, nobody told the Cardinals they couldn’t put Lance Berkman in the outfield, and he promptly put in a -14.4 uzr/150 rating in right while bashing his way to a .547 slugging percentage and a 166 ops+. Not that Nix is capable of Berkman’s level of productivity, but I still think he could have value as a 4th out-fielder/Davey Johnson prototypical power guy off the bench. Not to mention a lefty on a team whose primary power guys (Werth, Zimmerman and Morse) are all righty. I predict he resigns on a one year deal. Ivan Rodriguez really wants to get to 3,000 hits, but man he looked old this year. He only managed 27 hits in 124 at bats while ceding the starting job to the more capable Wilson Ramos. Clearly Pudge isn’t coming back to the Nats; the better question is whether there’s a backup job for him anywhere in the league. Probably so, but he’ll struggle to ever reach 3,000. Chien-Ming Wang, as we already know, is negotiating to stay with the team. And despite this blogger’s opinion that the team erred in setting up Wang’s 2011 contract, it seems like he probably is coming back. I’m guessing he signs a moderate 2-year deal with somewhere in the range of $6-8M in guaranteed money. So, in the end I’m guessing we re-sign one (and perhaps two) of our 8 free agents. This means we’ll be somewhat active on the FA market looking to back-fill some of the positions these guys filled this year. But not totally so; players coming back from injury and players rising from the minor league ranks are expected to take the place of players that we had to buy on the FA market in the past. That’s great news for the team in general; lowered payroll and further proof that our farm system is developing real talent. Let him go. Replaceable commodity. (4th in a series looking at all the minor league levels of pitching. AAA, AA and High-A links). The Hagerstown rotation was one of real interest all season, with teenage prospects AJ Cole and Robbie Ray both holding down spots, with 2010 2nd rounder Sammy Solis putting in his Nats debut, and with unexpected performances from unexpected players. Hagerstown starters. The rotation started the season with Selik, Grace, McKenzie, Hansen and Jordan. Here’s how these guys and the rest of the pitchers fared in 2011. Cameron Selik was a revelation, giving up just one run in his first 29 innings pitched before earning his promotion to high-A. This after not even being on the radar after his quiet debut in short-A in 2010. Outlook for next season (from high-A post): starting in the High-A rotation with an eye towards moving upwards. Matt Grace was the sole starter in the Hagerstown corps who lasted the entire year in the rotation. Unfortunately, he was merely average most of the year before tailing off badly with some really bad starts in August which really spoiled his lines. Final season stats: 12-7, 5.17 era. He gave up a LOT of hits (169 in 132 innings). Outlook for next season: I’d guess he competes for the high-A rotation, but may be converted to a bullpen arm. Christopher McKenzie had a very rough 2011, posting nearly a 7.00 ERA in 13 appearances (10 starts). He struggled early, lost his rotation spot when the teenage duo of Ray/Cole were placed on the squad, had a couple of DL trips and ended the season by putting in a couple of starts in late August. This is the 2nd year in a row that McKenzie had a very ugly ERA number; somehow I doubt there will be a 3rd year lasting through the season with numbers that high. He does have youth on his side though; he doesn’t turn 22 until December. Outlook for next season: his age and experience put him in the high-A bullpen, but if he can’t get his ERA into respectable figures he will be released. Bobby Hansen was an enigma this year; he went 5-1 in 10 early season starts with a 4.10 era (most of that sullied by a 6 run first inning in a one-off mid-April start), then suddenly he was pulled from the rotation. After a number of weeks he was placed on the DL and resided there the rest of the season. Commenters here pointed out that he was “hurt” and was going to be “out for a while” but I’m not sure official word ever came down. Outlook for next season: get healthy, then get back into the low-A rotation. He’s young and he has time to move up with good performance. Taylor Jordan put together the start of a great season in the Hagerstown rotation, going 9-4 with a 2.48 era in 18 appearances (17 starts). However, he went on the DL in early July and never made it off. Like Hansen, we struggled with information on the injury. Outlook for next season: same as Hansen: get healthy and get back into the Low-A rotation. AJ Cole surprisingly joined up the full season low-A team (as opposed to my guess of pitching in the GCL as a 19-yr old) in May and at times showed the upper-end ceiling he has, and the reason he earned such over-slot money as a 4th rounder in 2010. He exceeded expectations through May and June, then fatigued in July and August, dragging down his season stats. On the year: 4-7, 4.04 era but most importantly a 108/24 k/bb ratio in just 89 innings as one of the youngest arms in low-A. Not a bad first pro season. Outlook for next season: I’d guess he starts again in Low-A, looking for more consistency before moving up. Robbie Ray joined the team the same time as Cole, but frankly out-impressed his more heralded 2010 draftee. For weeks Ray was pitching as if he were wise beyond his years, and though he also tired in August (especially in his last two starts, which raised his season era from 2.31 to 3.13) his season can only be considered a great success. Final numbers: 2-3, 3.13 era and 95/38 k/bb in 89 IP. Outlook for next season: Same as Cole; I think he starts in low-A again with an eye towards a quick move upwards. Ryan Demmin was an undrafted 2010 FA who pitched lights out in short-A but who couldn’t handle the jump to High-A. Upon his eventual arrival in Hagerstown he entered the rotation and pitched pretty effectively; 3-1 with a 1.69 ERA in 5 starts. For some reason he was dumped back out of the rotation in late August and ended the year with a few relief appearances. Across 3 levels he was 8-2 with a 4.25 era with pretty good k/9 numbers. Outlook for next season: I’m guessing he’s destined for the bullpen; his k/9 as a lefty bodes well for his future. Potomac middle reliever. Matt Swyndenberg improved in his 3rd pro season, still relatively young for the level but putting up good numbers. He toiled out of the bullpen in long relief for most of the summer, posting a 2.66 ERA in 50 innings across 20 appearances. When he got a chance to start, he was up and down, with some good and some bad starts and a 4.67 ERA split. He’s not a big time K/9 guy and seems destined to try to make it as a reliever moving forward. Outlook for next season: Potomac middle-relief. Paul Applebee served as the long-man/spot starter all season, picking up 72 relief innings and another 24 2/3 in 5 spot starts. He repeated low-A in 2011 and improved marginally. He was a 10th rounder out of college in 2009 and needs to move up. Outlook for next season: Potomac middle-relief, perhaps a similar long-man/spot starter role. Shane McCatty got one spot start in the middle of the season, a high point for his otherwise unimpressive year. A 6.63 era in 57 (mostly) relief innings is a distinct decline from his numbers at the same level last year. Unfortunately Nepotism is at play here; if it weren’t for his last name, he may have already been released. 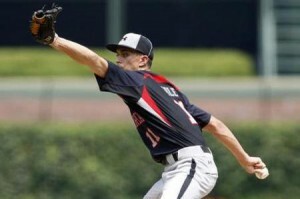 Outlook for next season: As with McKenzie, the low-A bullpen looks to filled with rising arms from Auburn and the GCL. I’m guessing he moves to the Potomac bullpen with a short leash. Hagerstown Relievers: taking a look at the relief corps at the end of the season, and talk about other hurlers on the team. Most of Hagerstown’s relievers were, well, bad. Eusubio, Brown, Weaver, and Holt all sported ERAs at the 5.00 level or above in various amounts of innings. Bates, Jenkins and Hanks were each demoted mid-season (though Bates made it back to low-A at the end of the season). Outlook for next season: all of them need to show they can product in low-A before moving on. Neil Holland earned a promotion to Potomac where he was even better than in low-A. Outlook for next season: (from high-A post): moving on up again, starting in the AA bullpen. Fan Favorite Christopher Manno put up consistently ridiculously good numbers in a late-innings/closer role for Hagerstown before being packaged in the Jonny Gomes deal. We wish him well. After Manno was traded, Ben Graham took over in the shared-closer role and pitched well enough. He was 4-4 with a 3.30 era in 46 relief innings. He’s another non-drafted FA after the 2010 draft that may add value to the organization. Outlook for next season: middle-relief in Potomac. Previously I posted that I thought the Nats should trade pretty much everyone they could, given their current spot in the standings. How’d they do? Acquiring Jonny Gomes: reviewed here. We picked up Gomes for two minor leaguers that were either blocked (Rhinehart) or long shots (Manno). Trading Jerry Hairston for a decent AA outfielder in Erik Komatsu. Honestly I was a bit surprised Hairston was moved, given his valuable multi-position coverage for this team this year. Komatsu wasn’t a BA top10 prospect for Milwaukee, but they did rate him as being the Brewer’s best hitting-for-average prospect in the pre-season. He has a good pedigree (Cal State Fullerton product) and is doing well in AA this year. He seems to be another attempt to build the outfielder pipeline that has been pretty poor, and has left the team continually struggling for a quality center fielder. Trading Jason Marquis for a low-minors shortstop in Zach Walters. Walters was spoken well of by his former U San Diego teammate Sammy Solis, and has been hitting well this season (albeit he’s playing in low-A as a college draftee). Some advocated against trading Marquis; not I though, figuring that Marquis was going to draw a decent prospect from somewhere. In my “what I’d like to see the Nats do” post a few days ago, I basically advocated trading everybody we could. Clearly having Laynce Nix and Ivan Rodriguez on the DL (either current or recently) prevented them from being trade candidates, and moving Livan Hernandez probably would have left a massive veteran leadership hole in the pitching corps. We DFA’d Matt Stairs (not that he was ever going to be a trade candidate), and I’d guess that both Rick Ankiel and Alex Cora could still be waiver-wire trades made closer to the post season. The one move that remains a surprise is not trading Todd Coffey, a decent right hander out of the pen that surely could have shorn up someone’s bullpen for a low-level prospect. In the “non-move” category, I’m glad we didn’t move Drew Storen for Denard Span as was frequently mentioned in trade rumors leading up to the 7/31 deadline. Honestly i’d rather pursue BJ Upton in the off season for a higher-ceiling guy. Clippard is valuable but is a reliever, and despite the tendency of fans to overvalue their own relievers, the return didn’t seem to be worth the disruption to the bullpen. I’m guessing a few of these expiring contract guys may be post waiver-wire trade possibilities, but all in all I’m happy with the moves and non-moves. I certainly don’t agree with the pundits who are labeling the team “losers” in the trade market. Is the Gomes trade solely about a comp pick? Yesterday, The Nationals acquired Jonny Gomes from the Cincinnati Reds for minor leaguers Bill Rhinehart, Christopher Manno and cash (i.e., the Reds are paying part of Gomes’ salary the rest of this year). incrementally better relievers, or relievers who don’t hit the backstop with fastballs. No where in that list is there a need for “yet another backup outfielder” to go with the slew of them we already have. Don’t get me wrong’ there is definitely some value in having Gomes on the bench as a right-handed pinch hitting option (since both Ankiel and Stairs are lefties). And there’s some value in having Gomes platoon with his left-handed hitting doppleganger Laynce Nix. But last place teams don’t generally spend time on such a small matter. To make matters worse, quotes from Gomes clearly show he’s disappointed to be traded from the Reds to the Nats, and it may be interesting to see how his attitude plays out the rest of the year. To me, this trade was solely about getting the supplemental first rounder that Gomes would net if he maintains his type-B FA status. Rizzo said as much himself when asked about the trade. And I’m ok with that. The two prospects we gave up were marginal prospects in this team’s grand scheme; Rhinehart was a good-hitting first baseman, but is a 26yr old in AA and is blocked by the younger, more promising Chris Marrero. Manno, while certainly a blogosphere favorite, was a 22-yr toiling and putting up dominant numbers in low-A, and his ceiling seemed to be as a matchup-left hander (loogy) at some point in the future. I guess Rizzo thought a 2012 mid 30-s draft pick was worth those two prospects in the long run. Last question; who makes way on the 25-man? You have to think this is the end of the road for one Matt Stairs. (Programming Note: as you may have noticed, i’m about 3 versions of this recurring post behind. A long weekend away and then two weeks of quick deadlines at work and todo items at home have conspired against these posts. I hate it when life interferes with blogging! Anyway, I’ve kept up-to-date the trends, copied over some of the “news and notes” from the older posts and will just pick up with the 14th cycle). The time has come to add in Short-A (starting 6/17) and GCL (6/20). There’s 15 arms assigned to the Auburn Doubledays, and it will take a bit to determine who the starters are. I’ll do a couple of quick posts with predictions versus actual rosters (though predicting the short-season squads is really difficult, since most of the guys there are 2011 draftees). As always, Sue Dinem has a nice post highlighting where the Auburn roster guys came from (2010 assignment or 2011 draftee). Lastly, Byron Kerr highlighted the opening day for the Auburn affiliate. Brad Meyers rebounded from a string of sub-par to bad starts to take the win on 6/16. Line: 7IP, 7H, 2ER, BB, 4K, HR. Meyers has (to this point) kept up his unbelievable k/bb ratio (39 to 4 in AAA, 77 to 4 on the season), but has been struggled in AAA thus far (a 4.80 era and well over a hit per inning). Tanner Roark also rebounded on 6/16, putting in a quality start (2er in 6ip). He still seems to have taken a severe step backwards this year (with a 6.00 era on the season) and may be pitching his way out of the team’s long term plans. AJ Cole struck out 9 in 5 innings on 6/16, giving him 40 (against 8 walks) in 32 low-A innings thus far. I’ll take that from a 19yr old. Ryan Demmin‘s return to starting pitching on 6/17 for Auburn went well; 5IP, 3H, 1R, 1ER, 3BB, 4K. He washed out of Potomac’s bullpen earlier in the year; lets see if he can stick in Auburn’s rotation. 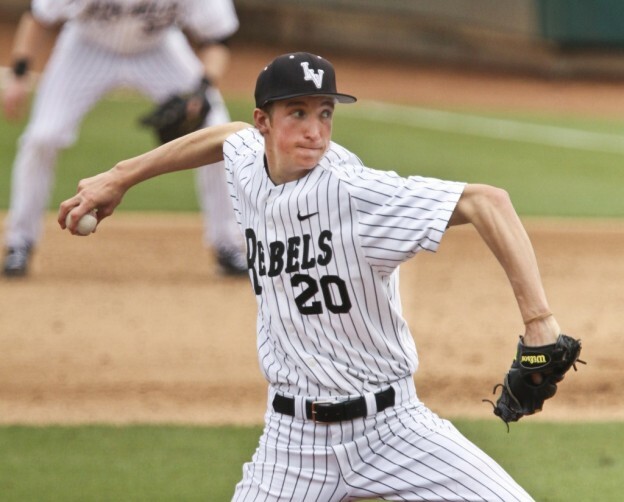 Collin Bates may not have started 6/17’s Auburn game, but he went 4 innings and clearly seems in competition for the rotation (so i’ll grade him here). Results? Pretty dominant: 4IP, 2H, 0R, 0BB, 3K. Lets see if he gets a start the next time through the rotation. Brad Peacock got a bit unlucky on 6/17, turning 4 hits over 7 innings into 3 runs, but another 7Ks to pad his gaudy season numbers helped him to the victory. Honestly, I’m not sure what he really has left to prove in AA; why do we keep Stammen in the AAA rotation if he’s being used out of the pen when he gets called up? Paul Demny had his best outing of the year on 6/18, pitching 5 innings of one-hit ball before making way for his bullpen. Erik Arneson put up good numbers for Harrisburg (this time) on 6/19: 3 hits and 7 Ks over 6 innings. As i’ve said before, Arneson seems to have picked the short straw and seems to be the organization’s go-to spot starter. Evan Bronson got hit very hard on 6/16 on the day he seemingly took over Mitchell Clegg‘s rotation spot, giving up 11 hits in 5 and a third. An ugly outing for Craig Stammen, perhaps jet-lagged from his brief callup on 6/18. Line: 3IP 6H, 5ER, BB, 2K, 2HR. Carlos Martinez got a spot start to cover for a Harrisburg doubleheader on 6/18, and in doing so became the 12th starter used in AA. The result? He showed why he’s not in the rotation, getting peppered for 6 hits and 3 runs over 4 innings. Wirkin Estevez had an interesting game in Auburn’s 2nd game of the season on 6/18: 3⅔ IP, 9H, 6R, 6ER, BB, 6K. 9 hits but 6 Ks in less than 4 innings? Estevez pitched well in the DSL last year, but history has shown that it may not translate to the continental pro game. Yunesky Maya returned to Syracuse from a 4-game stint in the bigs, and must have been depressed for his 6/19 start. He gave up 10 hits over 5 innings. Unfortunately, I think he better get used to living in upstate New York for a while. Amazingly he was in line for the victory by virtue of his team’s offense. Pedro Encarnation‘s first short-A start was not terrible, but wasn’t great; 3/ 2/3 innings, 3 runs, 4 walks. I’m surprised he’s in the short-A rotation, given that he’s not really shown us much during his first two pro seasons. A bad short-A start for Kelvin Lopez, another guy who wasn’t exactly great for us in the GCL last year. Line: 3⅓ IP, 5H, 3R, 3ER, 2BB, 3K. Shane McCatty had a run of the mill spot-start on 6/16: 4ip, 5 hits, 3 runs (2 earned). It is the 2nd time in 2 weeks that one of the lesser bullpen arms in Hagerstown has been pressed into action. Maybe they should have kept Garrett Mock down there for the playoff push. 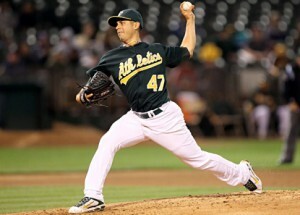 Tommy Milone had a poor start (by his standards) on 6/17, giving up 7 hits and 5 runs (4 earned) in less than 6 innings. He continues his mastery of the strike zone though, now standing at 82ks against 5 walks on the year. Unfortunately, his ERA has been creeping up over the past few starts, leaking runs here and there. I still think the team could make use of him in the rotation if the need arises, this year. Erik Davis obviously was around the plate on 6/17, giving up 10 hits to go against 8Ks (and 0 walks) in a 6 inning effort. Robbie Ray wasn’t quite as dominant as we’ve come to expect on 6/17, but only gave up one run through 5 to take a no-decision. He gave up quite a few hits and didn’t have nearly the dominant K rates as he has in previous games. He’s still been amazingly dominant considering his age and his lack of pro experience. Trevor Holder‘s performance on 6/18 was probably better than his box score showed: 7 hits and 3 runs over 6 and a third, but all three runs came on one big homer. It was enough to cost him the loss. Taylor Jordan had a quality start on 6/18, but nothing special. 6ip, 3 runs, a couple of Ks. He’s continued to get wins for Hagerstown with decent numbers and not-very-dominant stuff. But he has a sub 3.00 era and doesn’t walk a ton of guys. I don’t know how much upside that means. Sammy Solis piched out the string for a Hagerstown team that was eliminated from the first half playoffs on 6/19: 4 innings, couple of earned runs, 5 ks. Nothing bad, but nothing special. Another mediocre (for him) start for Ross Detwiler on 6/20: 6⅔ IP, 3H, 2R, 2ER, 4BB, 3K. I continue to maintain he’s injured in some way or another and trying to pitch through it. Nathan Karns had an up-and-down rehab start in GCL (season opener on 6/20). 2⅔ IP, 1H, 0R, 2BB, 2K. Its usually difficult to tell who the “starters” are in GCL, but we’ll do our best. Mark Zuckerman reports that Chien-Ming Wang is (finally) ready to leave extended spring training and go out on a rehab assignment. This means he’s going to supplant a starter, somewhere in the system. I’d guess he’s going to Potomac to start, as they seem to have the least-performing collection of starters right now and he’d completely overmatch the younger hitters in low-A. The implication of his going out on a rehab assignment is this: he only gets 30 days in the minors (probably about 6 starts) before the Nats have to make a decision on what to do with him. He has no minor league options, so in 30 days he either joins the 25-man roster, goes back on the DL or is DFA’d. After all we’ve invested in him (and for the sake of his career), I’m hoping he still has something left. The rotation in Harrisburg has proved challenging to keep up with; they’ve now used 11 different starters and we’re only about a 1/2 of the way through the season. At the time of this writing I can’t tell any longer who is really in the rotation. Tatusko seems back, but Arneson has pitched well out of the bullpen (though only mediocre as a spot-starter). I guess its a good problem to have, as they’ve rolled to 10 straight wins recently and are getting pretty dominant performances out of 3/5ths of their rotation nearly every time out. Jimmy Barthmaier got slaughtered out of the pen on 6/1, which broke up a decent string of appearances for him lately. He’s got ugly season-long numbers, is old for AA, and may be on his way out. Hagerstown relievers Shane McCatty and Ben Graham both got torched in a very odd 6/1 Hagerstown game. Its the 3rd such god-awful outing for McCatty this year, sprinkled around decent ones. Same story for Graham. Both guys really aren’t getting the k/9 rates they need as bullpen options in the low-minors to have any shot of moving up. Christopher Manno numbers, as of June 1st: 25 1/3 innings, 0 earned runs, 8 hits, FOURTY strikeouts against eight walks. As frequent commenter Mark L might say, “what does this guy have to do to get promoted? ?” He proved later on in the month that he is human (giving up a few runs here and there towards the end of the first half), but he still has dominant numbers and merits a promotion. Ryan Mattheus looks like he’s fully recovered from 2009 Tommy John surgery, with 24 Ks in 21 innings and only 10 hits allowed through AA and AAA stints on the season. If anything his numbers have improved at AAA. His problem is 40-man status; he passed through waivers and was retained by the club, and I’m guessing they won’t want to put him back on until completely necessary (perhaps 9/1 callup?). Update: he got his long awaited shot at the majors, having been added to the 40-man on 6/10/10. He replaces Cole Kimball, who has “right shoulder inflammation” (as nearly every major league pitcher does) and went on the 15-day DL. Kimball has been pretty effective thus far, but is walking guys far too often and the rest may do him some good. Not that Bryce Harper is involved with the pitching in Hagerstown, but I thought i’d take a quick look at how he’s faring with his latest outburst. As of 6/3, here’s his ranks in the entire Sally League in various categories: 6th in batting average (.346), 3rd in OBP (.432), t-1st in homers, 1st in RBI, 1st in Total bases, 3rd in OPS (1.055), and he’s even t-14th in stolen bases. Not a bad set of rankings considering he’s like the 2nd youngest guy in the league. Brad Peacock is starting to get noticed by some of the ESPN scouts. Jason Grey featured Peacock on 6/2 from an NL-only fantasy perspective, noting he’s at 95mph with a “good” curve and a developing change-up. That’s not going to be enough to be a major league starter. Grey’s espn colleague Keith Law took a Peacock-related question on 6/2, noting that Peacock really is a one-pitch pitcher without an above-average 2nd pitch according to most scouts he’s asked about. Neither of these reports is really that positive about Peacock’s future unfortunately. My guess is that he will probably be told to start really working on his change-up, which reportedly has good velocity delta but not much movement and not much command. You would have to think Peacock needs good command of that third pitch to have any shot at being a starter. Interesting Harrisburg moves last week: Oliver Perez going to the DL, with Arneson continuing his pin-ball assignments throughout the organization, coming back down from Syracuse. He seems to be the designated spot-starter/moving man this season. Erik Davis was on the DL for a quick trip and regains his rotation spot, but it remains to be seen what the rotations look like after this shakes out. What is going on with Bobby Hansen?? He hasn’t appeared in a game for Hagerstown since 6/1, but isn’t on the DL. He seems to have given his rotation spot to Sammy Solis … but hasn’t appeared since. He wasn’t Hagerstown’s worst starter and had pretty good numbers as a 21-yr old in low-A. Is he hurt? Is he in the dog house? Has he gone and hooked up with the manager’s daughter? The busleaguesbaseball blog featured Auburn on 6/20. 9-lives pitcher Garrett Mock was placed on the 7-day DL in Harrisburg after two brutal starts there. As of 6/21, here’s the list of pitchers on the 7-day DL in AA: Mock, Perez, Atilano and Chico. In other words, a collection of guys who are all way too old for AA and are closer to their outright release than making it back to the big club. We may soon see a whole slew of 2011 draftees taking over rotation spots in Auburn. Some of the “starters” we have there have not exactly impressed during their pro careers, and in some cases makes you wonder how they still have jobs.